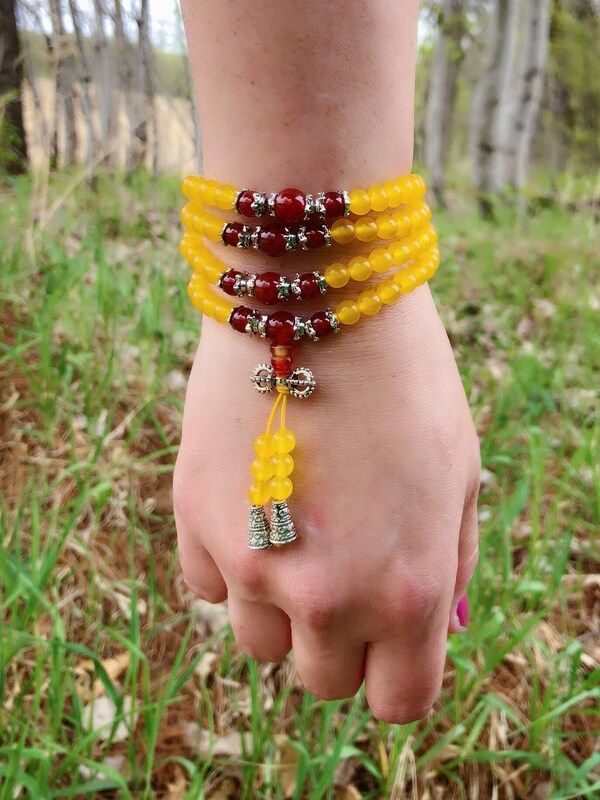 Handmade yellow chalcedony agate with red carnelian agate wrap bracelet. 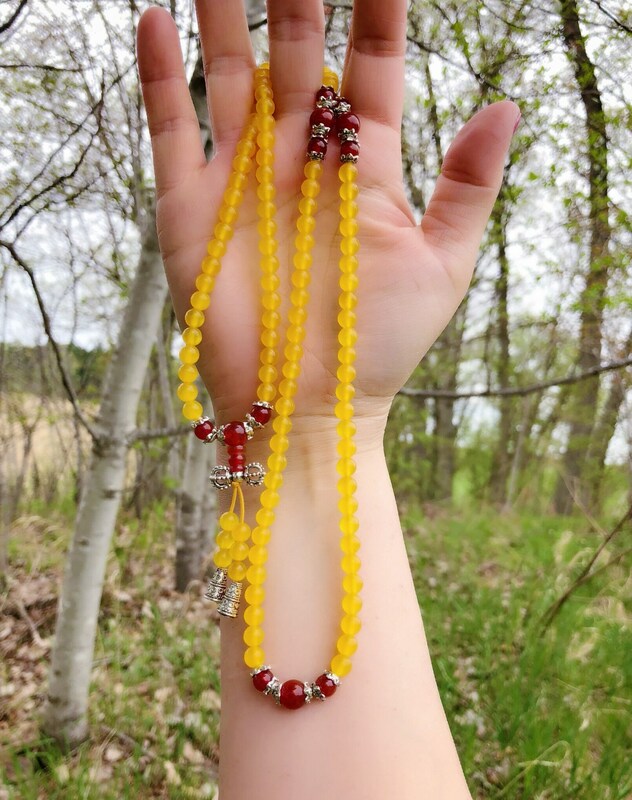 This bracelet can also be worn as a necklace as it is approximately 27” in length. 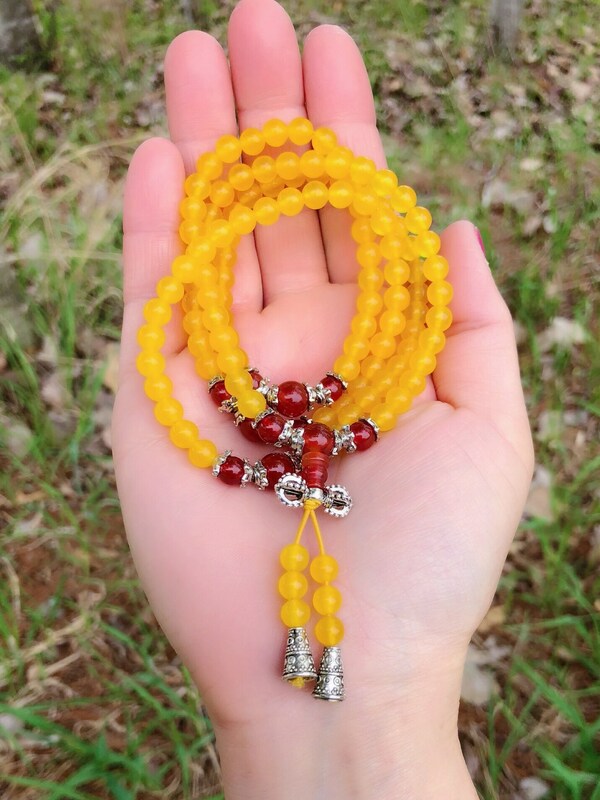 Made with 108 6mm genuine crystal beads. Bracelet is sage blessed with Lakota prayer.